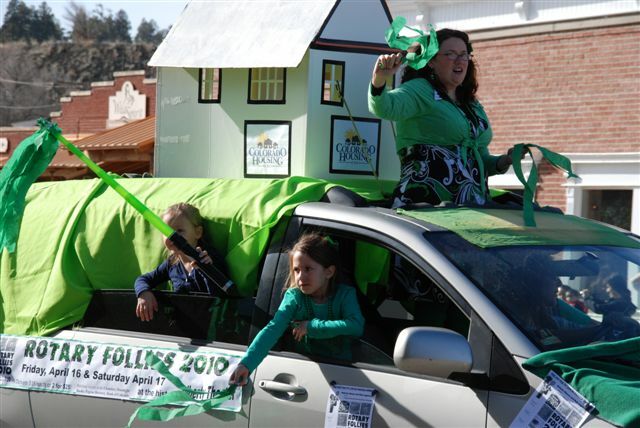 We all enjoyed a gorgeous day in Pagosa Springs today for the 2010 St. Patrick’s Day Parade. The temperature rose to the high 50’s with crystal blue skies and a festive atmosphere. My pictures are never too impressive with this parade because of the position of the sun in the late afternoon. I’m hoping the organizers will consider reversing the route so the parade runs east to west from now on. That way the sun will be at the viewers’ back with the mountains behind the participants. 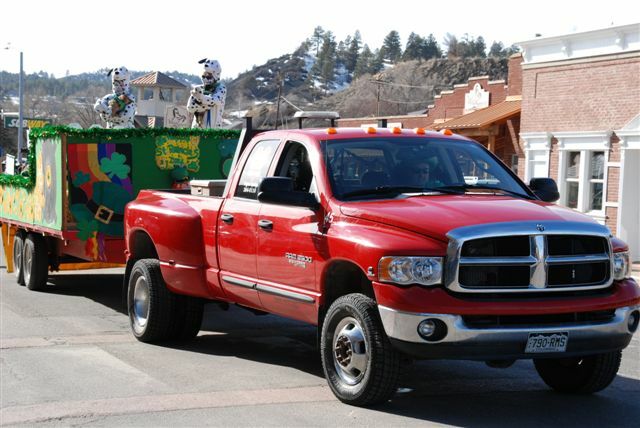 Please visit my Pagosa Springs Real Estate website for more parade pictures and downloads. 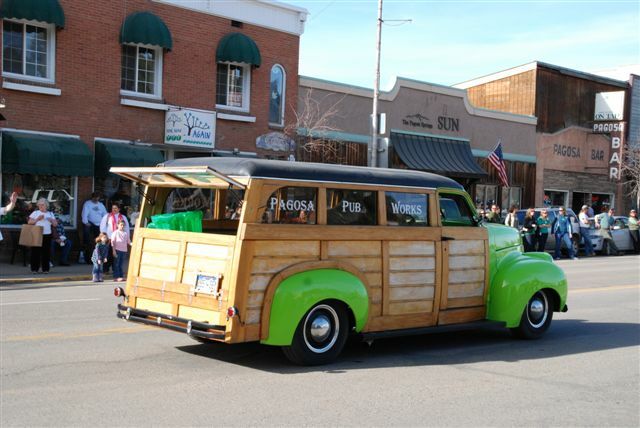 More All Things Pagosa parade pictures and videos. More Town Park snowboarding pictures and stop-gap video on my All Things Pagosa “Snowboarding In Pagosa Springs Town Park” post. 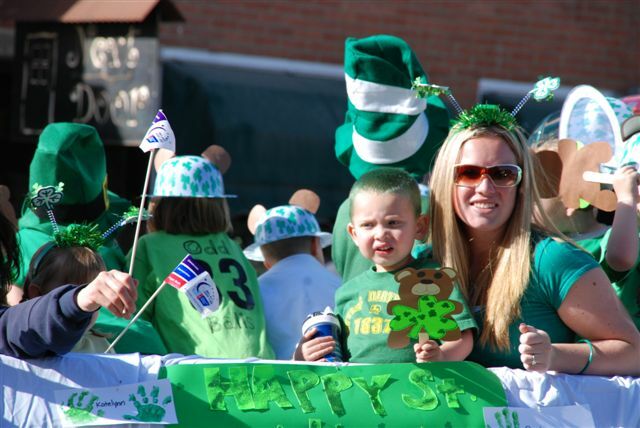 Please visit my Picasa photo sharing site for more parade pictures and photo downloads. 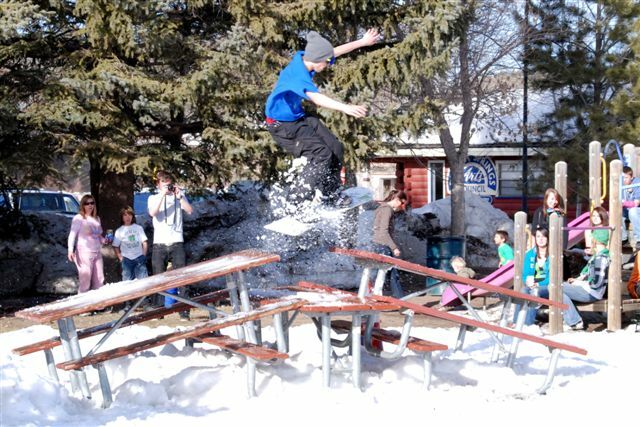 The guys snowboarding in the park was a lot of fun to watch…those guys are pretty creative with their recreation! I’ve got some additional pictures of these guys that I want to showcase in a separate post. Let me know if you find out their names from someone. Love the photo of Evan Arthur! Yes, he and Asia ate some green cupcakes and made quite the green mess on their faces.